Girls entering the home were required to have been born in lawful wedlock and be between 6 and 11 years of age. 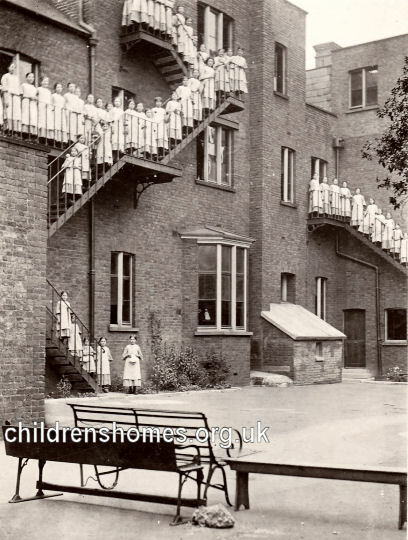 Admission to the home was by election of the charity's subscribers and donors or by a lump sum payment of at least £70, with girls below the age of 6 being allowed entry subject to payment of a larger sum. Preference was given to 'those of respectable parentage.' 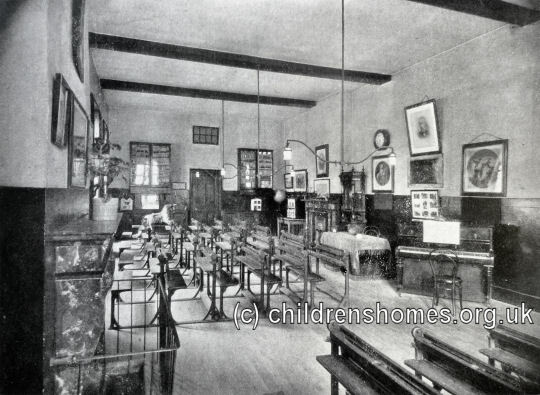 All the girls admitted had to provide a medical certificate as to their general state of health and freedom from scrofulous or scorbutic disorder, fits, or disease, deformity, or infirmity, and a certificate of birth and baptism, or satisfactory evidence of age. The marriage and burial of parents also had to be proved. 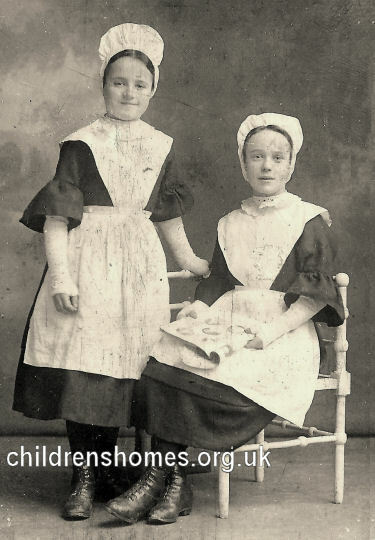 David Sloan, who has a family connection with the home, has kindly provided a photo of two of the inmates, Maud and Mildred Cole, in their Sunday uniform. Girls were kept in the institution until 16 years of age, unless constitutionally weak, when the period could be extended. On leaving, they were supplied with an outfit and, if possible, placed as domestic servants with reputable families. However, a guarantee was required, except in cases of urgency or destitution, that in event of the Committee being unable to find a situation, a girl would be no longer chargeable on the charity's funds. The Grove Road home could accommodate up to 80 girls, but the charity's funds usually did not permit it to run at anywhere near its full capacity. Relatives or friends of the inmates were allowed to visit them on first Monday in every month between 9 a.m. and noon, and 2 and 5 p.m. In 1870, Miss Caroline Ann Laver became matron of the home. 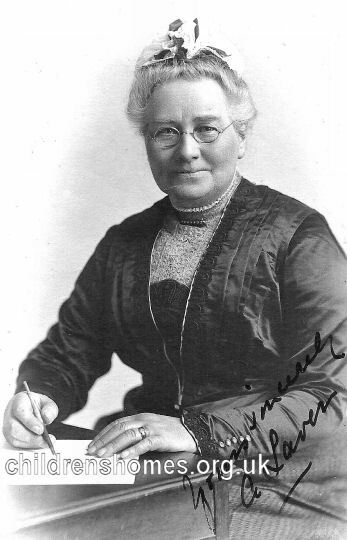 She retired in 1923 after more than 52 years in the post. 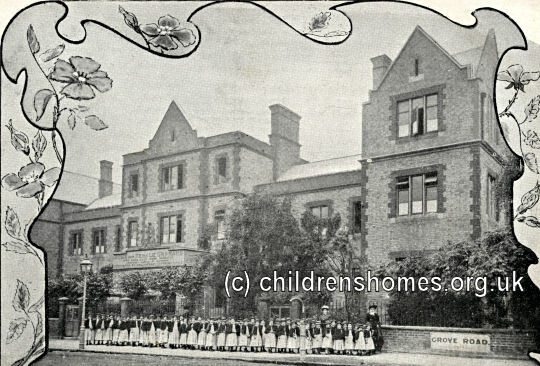 The orphanage is believed to have closed in around 1932. The Grove Road building no longer exists. London Metropolitan Archives, 40 Northampton Road, London EC1R OHB. (The Ancestry website also has LMA records relating to workhouses and other institutions — more details.) Hold some papers and correspondence (1879-1932). Thanks to David Sloan for providing some of the pictures.